09.15 It is the final day at Sligo '14 (ahhhh!) but we're not finished yet. There is a great programme planned for today and we'll be here every step of the way to keep you posted with updates and photos! 09.33 Ken Clarke, "Psalm 34 has been defining for this week. '…Those who look to Him are radiant, their faces are never covered with shame.' There has been a fire burning here this week and I pray we will go home with radiant faces." 09.42 Praying for Ireland north, south, east and west - that the walls will come down! 10.17 David Parker leads the morning Bible Teaching - Read a summary of the message here. 10.25 Reading together Ezekiel 3: 1-9. Ezekiel is given a hard head for a hard work. That is what going as sheep among wolves is all about. We face difficult tasks and hard challenges as we follow Christ. Like Ezekiel, we need to have a forehead like “flint”. It has to start internally. Ezekiel ate the scroll. We need to face down our own faults and to look at the cracks in our lives. I wish we could “arrive” and find that we have everything sorted. I’m grateful that God deals with us as we really are. He's not fooled by the facade. We need the mental toughness to deal with ourself, with our “stuff” and our circumstances. We need the mental toughness to deal with what He has called us to do. We need the Lord to equip us with a hard head so we don't give in. Sometimes survival is victory! If God has given you vision, then don’t let that go. We need a tough head to win the battle we face. The big battle for you and I is to know that God is with me. Shalom is that sense of peace from knowing that it is all going to come right in the end. Even in the face of your worse fears, God is with you. He won’t abandon you or crush you. It won’t be easy. 11.03 Worship and ministry time at the end of the morning Bible teaching… "Bless the Lord O my soul…"
11.48 Preparing for a seminar by Steve Morris looking at the issue of 18 - 30 year olds leaving the church. Steve Morris speaking at New Wine Ireland. I’ve been a youth worker for 10 years. People I was working with at 12 are now in their 20s. My heart aches over those who are dropping out and falling away from church. The missing generation - those in their 18 -30s are the lowest in attendance in church. In the past, people connected with the Gospel because of Christ and then entered into the church. More recently, people connected with Community and then were drawn into relationship with Christ. Now young people are justice-minded and they will often connect first with a Cause before engaging with the community and finally finding Christ..
Talk about injustice, homelessness, trafficking… young people care passionately about these things. Take people along to serve the cause even before they have even met Christ. People mistrust our religious leaders and institutions. They are not starting from zero, they are starting from minus 10. Encourage younger people to take the lead in blessing your community and changing the story. Release people early. Hand over the baton. Allow them to make mistakes. Don’t steal their credit. Spur them on. A cry for authentic community: We need to rediscover the ability to smile and have fun. I’m serious about the things of God but at the heart is authentic community. Eating together. Celebrating together. Crying together. Worshipping together. Talking until late in the night. We need to get away from church being an event we attend and back to a community we belong to. Wrestle with the tough questions and don't be afraid of allowing young people to make their own decisions - present them with all the options. Understand the backstory of recession, technological revolution, rampant materialism, over sexualisation and uncertainty over jobs and education. We need to invest in this generation. Be serious about the younger generation and that will impact the budget. You’ve got to back it with your prayer, your pounds and your passion. Only fight for essentials. Don’t be afraid to let old traditions die. On the essentials of the gospel hold firm but on everything else… let it go. 13.49 Read a full summary of Steve's message here. 14.38 Gathered in the main arena for our Family Worship Celebration - watching a clip from "Cloudy with a chance of meatballs"… great fun! 15.00 Susan McFarland is talking about silly inventions and how we are all created for a purpose! 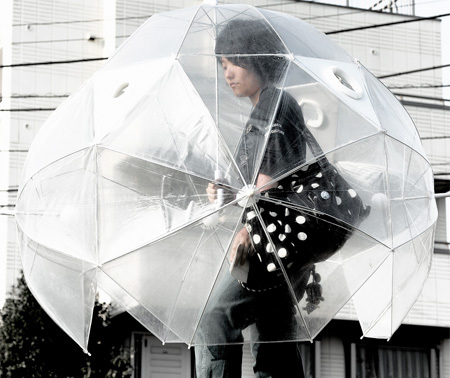 Weird inventions: ideal for the Irish summer! You were born on purpose, with a purpose, for a purpose! We were born to live an extra-ordinary life for God. We are made in God's image and we are called to reflect Him. We are designed to make a difference. Your purpose is not just for the future, it is right now! Ephesians 2: 10 - We are God's masterpiece! He created good things for us to do. 19.17 Coming together for the final celebration at Sligo '14. Hilary McClay opens the evening, "God is not finished with us yet. We are all determined that as we leave here we go back into our communities know that we are God's plan A to change the nation." 19.51 Praying for David McClay as he comes to speak to us this evening. Isaiah 54: 2 - 3 “Enlarge the place of your tent, stretch your tent curtains wide, do not hold back; lengthen your cords, strengthen your stakes. For you will spread out to the right and to the left; your descendants will dispossess nations and settle in their desolate cities." 19.54 This is the first evening of something new. The role of the church is to birth new Christians and new ministries. This evening should be all about beginnings. Let’s stop putting Ireland down. Let’s stop thinking that significant things for the kingdom cannot happen here. Let’s have hearts that are searching and seeking for a move of God’s spirit. When children are born, things change forever. If we want to see our nation change, we need to see people becoming followers of Jesus. We need to be ready for new birth. Let's be bold, courageous and faith-filled. Let's position ourselves for growth and believe for the bigger things. Let's work towards transformation. Let's do away with boundaries and borders. We are often restricted by prejudice and fear. Christ on the cross redeemed our history. Christ bore the sin that separates every person in Ireland from God. He will save anyone who calls on His name. Let us be confident in the cross. We need to enlarge our understanding of who God is.He is reaching towards us. He makes broken lives whole. He sets people free from addiction. He heals marriages. He saves lives and transforms whole communities. That is who He is and that is what He does. Let's rediscover our confidence in the presence and power of God. We can step into all sorts of situations and change the atmosphere because the spirit of God lives in us. We need to see sectarianism dealt with as we cross boundaries and walls and fences. We need to see abuse and fear and threat replaced with the presence of God and the power of the Gospel. Decide who you are going to pray for every week to come to Christ, and start praying. Don’t let a week pass without praying for someone for blessing or healing. Decide that you will speak the name of Jesus every day and share God’s love every day! 20.58 Read a more of David's message here.